Aftab Ahmad Blog Isreal Defence Forces - A Band Of Human Organ Thieves? 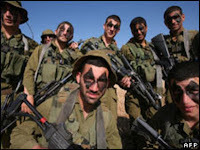 Isreal Defence Forces - A Band Of Human Organ Thieves? Israeli army steals body organs from Palestinian men after killing them for trade. Recent scandal that shook Israel and the United States when rabbi Isaac Rosenbaum was arrested for trafficking in human organs. Senior editor of the swedish newspaper Aftonbladet Donald Bostrom witnessed the murder of a 19 year-old Palestinian and the theft of his organs. A diplomatic row between Sweden and Israel has intensified, with Israeli politicians urging Stockholm to condemn a newspaper article they have described as "blood libel". In the report, published in Sweden's leading tabloid, a freelance journalist accused the Israeli army of stealing body organs from Palestinian men after killing them. "The statements in the Swedish press were outrageous," Benjamin Netanyahu, the Israeli prime minister, was quoted as telling his cabinet on Sunday. "We are not expecting an apology from the Swedish government ... We are expecting condemnation." The Swedish government has refused to apologise for the article published in Sweden's Aftonbladet on Monday last week, saying the country's press freedom prevents it from intervening. The controversy comes two weeks before Carl Bildt, the Swedish foreign minister, is to visit Israel, with Stockholm currently holding the rotating EU presidency. "There is no question of cancelling or delaying this visit, but it is clear that this incident will cast a worrying shadow over meetings if it is not resolved," Yigal Palmor, an Israeli foreign ministry spokesman, said. Previous reports had said Israel was discussing to either not accept Bildt's visit, or to receive him, but refuse to discuss any other matter than the article. Bildt has written on his blog that it was understandable that the article's allegations aroused strong feelings in Israel. But Sweden would not obey to demands to repudiate the article or intervene to prevent such articles from being published, he wrote. "Our country does not work like that - and neither should it. "If I devoted myself to correcting all the strange claims in the media, I would probably not have time to devote to very much else. And criticism of one item might be taken to mean that I think everything else is good." In the article, Donald Bostrom, a Swedish freelance journalist, writes about the shortage of body parts in Israel and makes references to the so-called New Jersey scandal earlier this summer which involved rabbis, illegal organ trading and money laundering. Bostrom then gives what he says is his own eyewitness account of an IDF raid on a Palestinian village in 1992. Allegedly, a rioter named Bilal Achmed Ghanaian was shot, taken away by the military and brought back dead five days later with a scar running from his stomach to his chin. The article has sparked outrage in Israel, with scores of ministers and commentators calling it anti-Semitic and reminiscent of medieval libels that Jews killed Christian children for their blood. "In the Middle Ages, slander was spread accusing Jews of preparing Passover matza [unleavened bread] with the blood of Christian children," Yuval Steinitz, the Israeli finance minister, said. "And today it is IDF [Israel Defence Forces] soldiers who are accused of killing Palestinians to take their organs." Steinitz said on Sunday that the crisis would continue "as long as the Swedish government doesn't change its attitude towards this anti-Semitic article. "Those who do not condemn it are not welcome in Israel". Daniel Seaman, the head of the Israeli government press office, said on Sunday he would not give accreditation to two of the newspaper's reporters planning to visit the Gaza Strip. "We are not obliged to accredit them. It will take time. We have to conduct verifications, maybe to examine their blood type to know whether they can be organ donors," he told army radio. "I'm not a Nazi. I'm not an anti-Semite. I'm a responsible editing executive who gave the green light to the publication of an article because it asks a number of pertinent questions," Jan Helin, the editor-in-chief of Aftonbladet, wrote. Ehud Barak, the Israeli defence minister, has asked the security establishment's legal adviser to look into the possibility of filing a libel suit against Bostrom.